The disco light ball can create a beautiful colorful lighting effects. If you're calling some friends and family over for a party, you don't need to get all the disco ball lights home party equipment, music systems and other gear typically needed to make it a rocking event. All you need is this rotating disco ball. 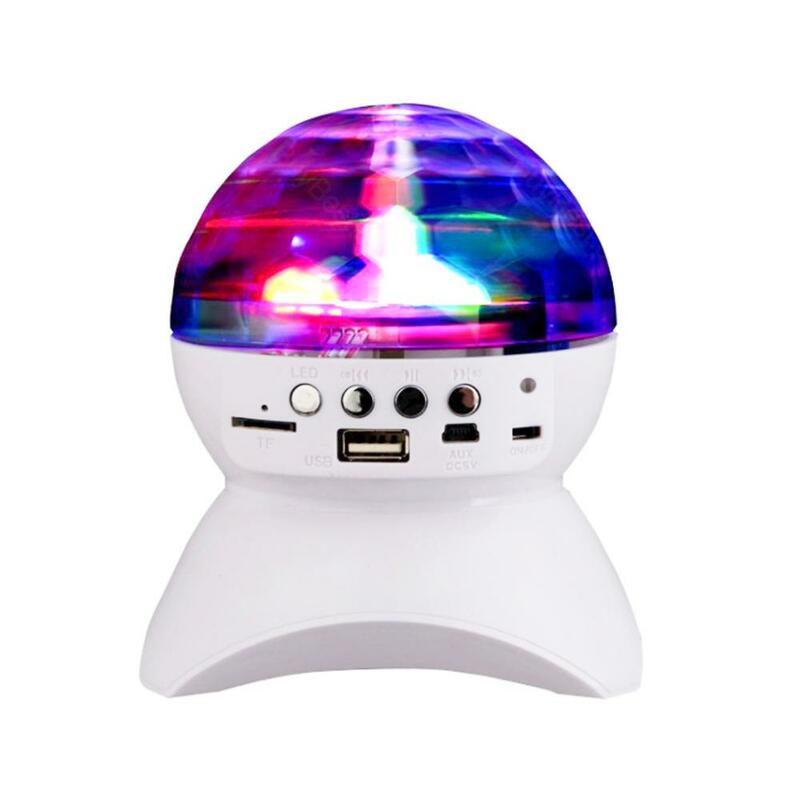 It will turn your entire room into a dance club. • Get rotating colorful lights in your room in seconds with this awesome gadget. • Filled room auto-rotation crystal ball with RGB three kinds of light color. • Ideal for home party's, disco, Bar's ,Club's , stage and even children's rooms. • Bluetooth 2.1 + EDR extend the maximum receiving distance to 10 meters. When you want to Link the speaker, select model number: L-740. My friend borrowed this speaker and she praised the quality and effect of the device. Great LED product. Highly recommended. My friends love the ball speaker tremendously. They have been playing different types of music non-stop. It makes my party brilliant. It's happy to have such a LED magic product. The speaker delivers enjoyable sound than my previous ones. Completely satisfied with the magic ball speaker. We set it on our dining table. It matches well with my house. A great speaker to play with and to make life colorful. A great glorious speaker for home party. Worth to have a try.